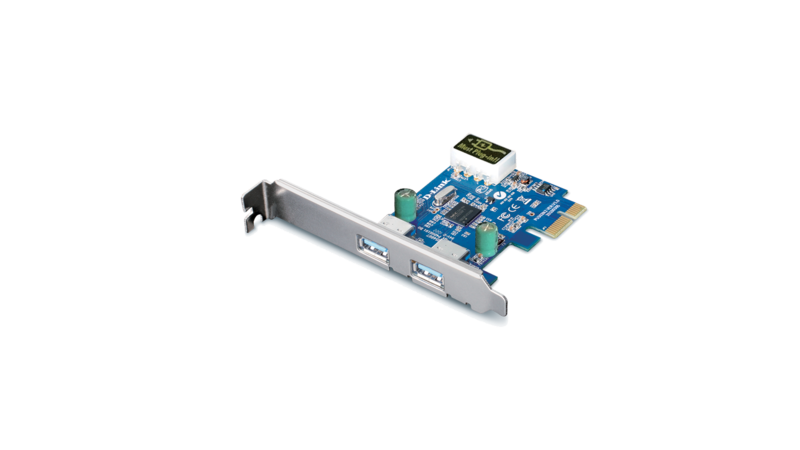 The D-Link 2-Port USB 3.0 PCI express card (DUB-1310) adds 2 USB 3.0 ports to your PC, allowing you to connect USB devices such as external storage, digital cameras, printers, and more. Providing data rates of up to 5Gbps - 10 times faster than USB 2.0. You can transfer your photos, music, and HD movies to a USB 3.0 external storage device faster than ever before. The D-Link 2-Port USB 3.0 PCI express card (DUB-1310) adds 2 USB 3.0 ports to your PC, allowing you to connect USB devices such as external storage, digital cameras, printers, and more. Providing data rates of up to 5Gbps - 10 times faster than USB 2.0¹. You can transfer your photos, music, and HD movies to a USB 3.0 external storage device faster than ever before. Connect your PC to USB 3.0 devices to transfer data at blazing speeds of up to 5 Gbps1 - up to 10 times faster than USB 2.0. You can back up your photos, music, and HD movies to an external storage device faster than ever before. SuperSpeed USB delivers maximum power efficiency to save the energy cost. You can also charge USB 3.0 devices faster using the DUB-1310. Just run the Setup CD and then slide the DUB-1310 into an available PCI Express slot; it’s that simple to add 2 USB 3.0 ports to your PC. 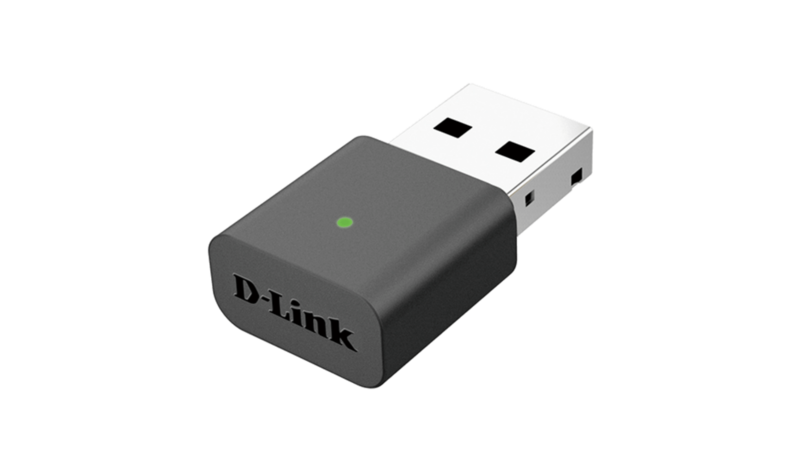 Backward compatibility with USB 2.0 and USB 1.12 means that you can connect any USB device to the DUB-1310. 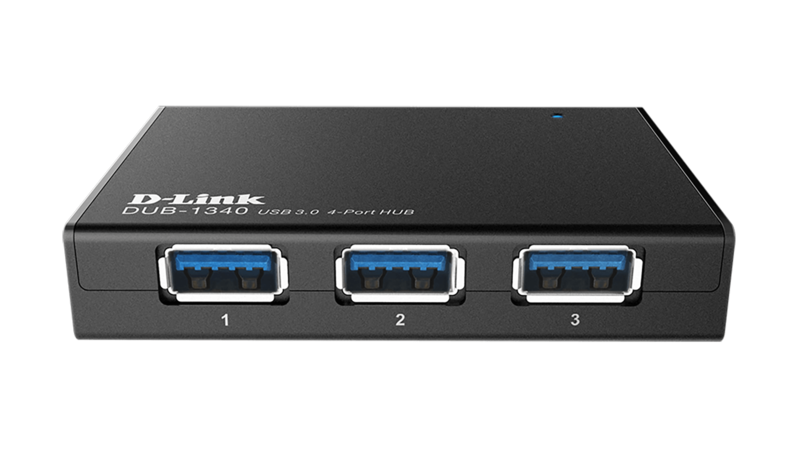 If you need more ports, you can connect additional USB hubs to support up to 127 devices. 1 Maximum transfer rate based on USB 3.0 specifications. Actual data throughput will vary.